I’ve been staying in Encinitas, CA for a short while. I came here awhile ago on the last vacation I took with my Mom, in the summer of 1997. While there we stayed in a small hotel near the beach but it was north of Moonlight beach, and involved a very steep set of stairs to get to the beach. I remember walking south though to Moonlight beach. I also visited the gardens at the Self Realization Fellowship compound while there that time. I have posted pictures on this blog before of the gardens, with the pictures taken during a visit a month or so ago. Locals tend to like Swami beach, south of the SRF compound as Yogananda frequented them and is honored there, but also because it is less crowded. 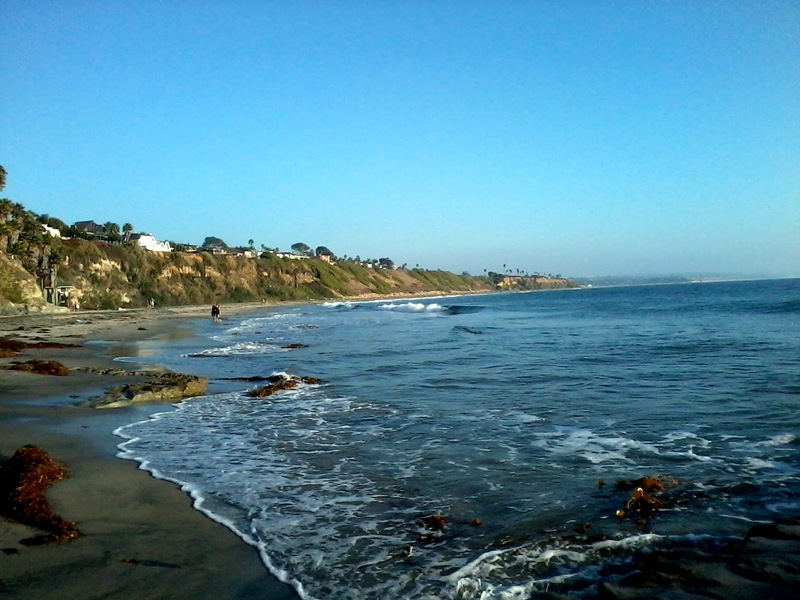 I like Moonlight beach because it is an easy drive west on Encinitas Blvd. which becomes “B” st. and I always find parking in the neighborhood. There is a large parking area though on a hill above the beach. The beach has bathrooms, showers, a concession stand with beach rentals, picnic tables and a playground. I recently walked to the beach and walked both north and south of the main area. 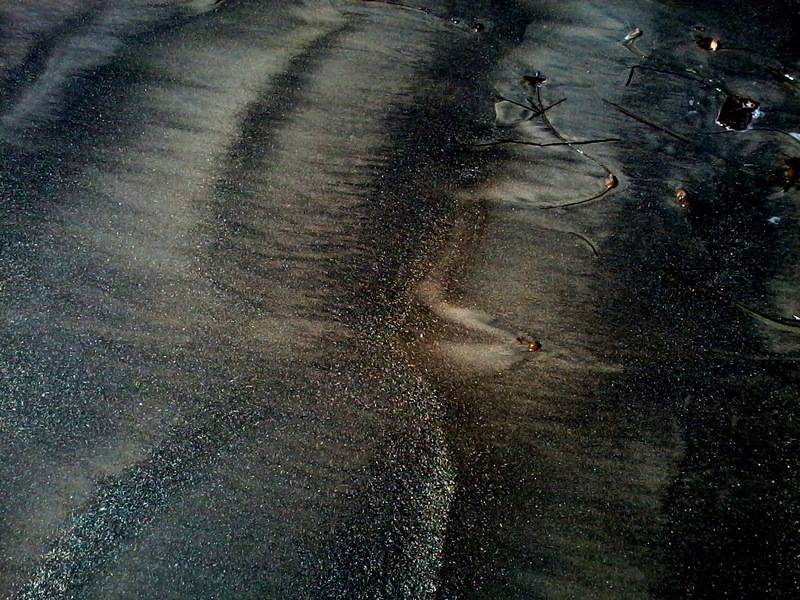 The sand was sparkling with what looked like gold flecks, like real gold was shining in the sand. The picture doesn’t do it justice. It is a lovely area and an easy walk. Come check it out! 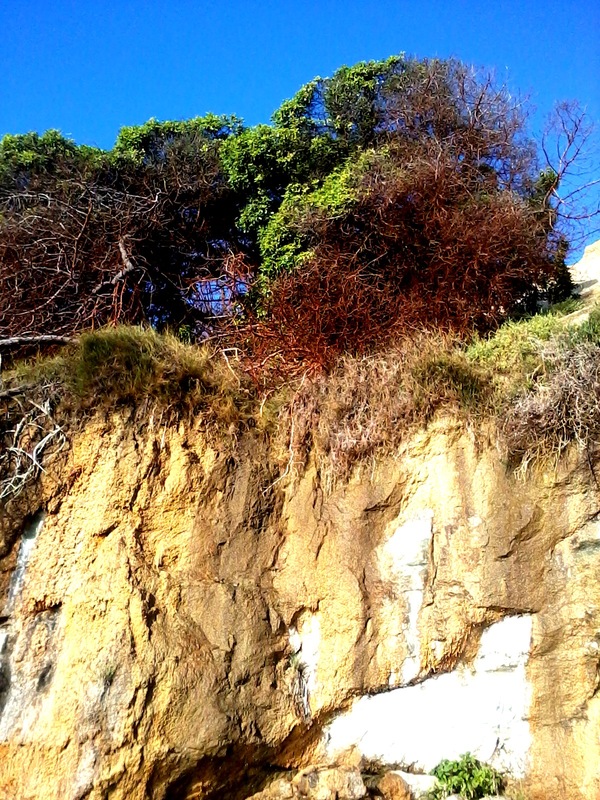 Here is a photo of the trees on the cliffs above the beach and one of the gold in the sand. 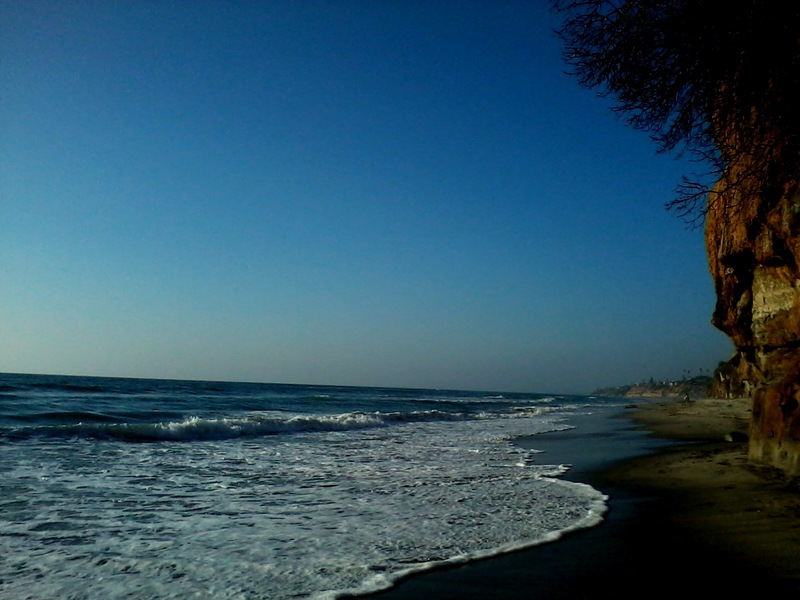 This photo is the beach looking south from Moonlight Beach. This is the beach looking north. Love this blog and all the travel places it explores! Enjoy!